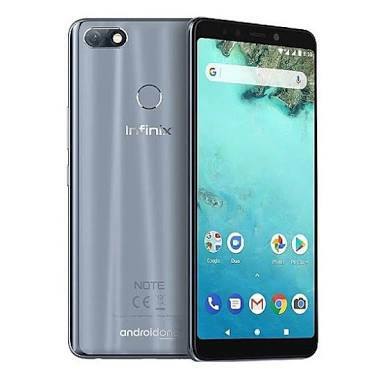 The Infinix Note 5 is the successor of the Infinix Note 4 smartphone which also maintains the features of its predecessor. The phone comes with an impressive feature and the Android One version which is now the latest update of Android from Google. Though it still carries the same single set-up, this time around it has an advanced AI feature. The Infinix Hot S3X is the latest released from Infinix. And with this phone, the Infinix mobility adopted the Notch display which has been the newest trend. This phone still features the same space with the Hot S3, and it has a dual rear camera and smooth panel. 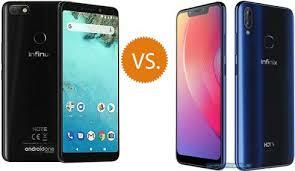 Both phones are still in the affordable mid-range devices, and they come with a generous inbuilt memory and enough battery to last you a full day. We will be comparing the Infinix Note 5 with the Infinix Hot S3X is this post. Infinix Note 5 VS Infinix Hot S3X: Design. Both phones sport a glossy body featuring metal which even adds more beauty to the phablets. The shining premium body on the Infinix Hot S3X is available in beautiful colors which include Black, Blue, and Gray. The phone comes with larger dimensions but slimmer than the Infinix Note 5. The dual camera is placed on the top left side, while the Infinix Note 5 has a single camera with LED flash as well. Both phones are equipped with a rear-mounted fingerprint scanner for security and other features like taking photos. Infinix Note 5 VS Infinix Hot S3X: Display. The Infinix Note 5 has a large 6-inch FHD+ display with a screen resolution of 2160 x 1080 pixels. The phone also features 2.5D curved glass with a good screen and rounded corners. On the Infinix Hot S3X, you will find a notch which is the first phone from Infinix with such a display. The Infinix Hot S3X is dishing out a suitable 6.2 inches and a screen resolution of 720 x 1500 pixels. It also comes with 2.5D curved glass and rounded curved edges with an excellent screen. Users will be getting an amazing viewing experience from both phones. Infinix Note 5 VS Infinix Hot S3X: Camera. 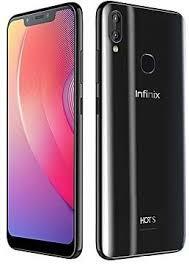 On the camera, the Infinix Note 5 has a single rear camera of 13MP with LED flash and other regulars, while the Infinix Hot S3X sport a rear combo camera of 13MP + 2MP. This main camera also features Auto-Focus and Dual-Flash. You will be getting the same front-facing camera of 16MP on both phones. In this aspect, the Infinix Hot S3X is winning with just the additional 2MP on the back, so both phones will be offering almost the same image brightness. On the performance, the Infinix Hot S3X is coming with a Snapdragon 480 which clocked at 1.4GHz Octa-Core coupled with 4GB of RAM. It has an inbuilt memory of 32GB or 64GB which is also expandable up to 128GB. On the Infinix Note 5, you will be getting a MediaTek Helio P23 Chipset with an Octa-core 2.0GHz processor and 4GB of RAM. This phone has an operating system of Android 8.1 Oreo with Android One on top which gives it an edge over the Infinix Hot S3X that is powered by Android 8.1 Oreo with XOS on top as a user interface. The Infinix Hot S3X is powered by 4000mAh battery capacity with fast charging technology, while the Infinix Note 5 is powered by 4500mAh battery with fast charging technology as well. Both phones are a great and affordable device from Infinix, and they feature advanced features you will only find in flagship devices. Infinix Note 5 VS Infinix Hot S3X: Price. The Infinix Note 5 is available at a price of $180, while the Infinix Hot S3X starting price is $165.